Award-winning singer to take break after being diagnosed with a brain tumor. Russian opera star Dmitri Hvorostovsky has canceled his performances until the end of summer after he was diagnosed with a brain tumor, according to an announcement made on his official website. "It is with great regret that Dmitri must cancel all performances from now until the end of August. He has recently been suffering from serious health issues, and a brain tumor has just been diagnosed," says the announcement. The announcement also underlines that Hvorostovsky's vocal condition is normal, that this week he will begin his cure and that he "remains optimistic for the future." Dmitri Hvorostovsky was born on October 16, 1962, graduated from the Krasnoyarsk Pedagogical Institute and the Krasnoyarsk Arts Institute and performed as a solo artist at the Krasnoyarsk State Theater of Opera and Ballet. In 1987 he won First Prize at the Glinka All-Soviet Singers Competition and in 1988 he won the Grand Prix at the International Singers Competition in Toulouse. In 1989 Hvorostovsky was victorious at the International Opera Singers Competition in Cardiff, after which he became world famous. He has performed at Covent Garden, the Vienna State Opera, the Metropolitan Opera, La Scala, the Mariinsky Theater and other prestigious opera theaters, and has recorded over 40 discs. He is a People's Artist of Russia, winner of the State Prize in the field of musical art and an Honored Artist of the Russian Federation. 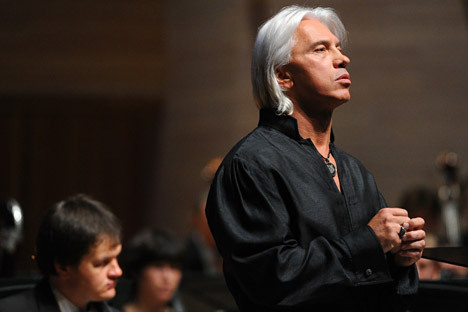 Hvorostovsky is also the winner of the BBC's Best Singer of the World award. Originally published in Russian in TASS.